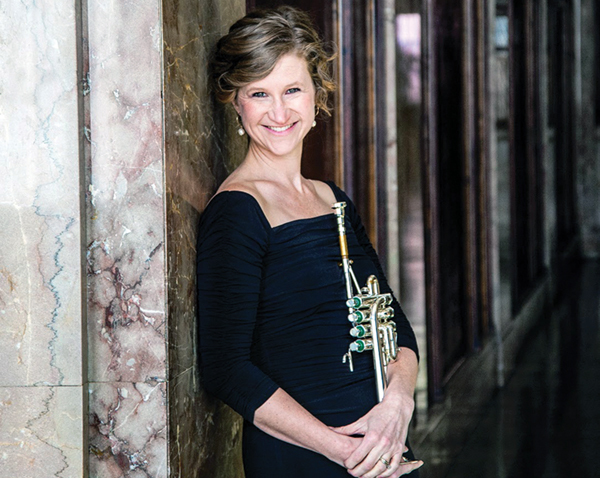 The North Carolina Chamber Orchestra (NCCO) will be showcasing Ashley Hall, trumpet, during their upcoming concerts Saturday, April 6 at St. Timothy’s Episcopal Church in Winston-Salem and Sunday, April 7 at Main Street United Methodist Church in Kernersville. Both performances begin at 7:30pm. Paul Manz is the Music Director of the North Carolina Chamber Orchestra. He has served as principal horn in the Flagstaff Symphony, the Prescott Chamber Orchestra and as assistant principal horn in the Flagstaff Festival of the Arts Orchestra. He has also performed in the pit of a number of professional operas and musicals as well as conducting “Mame” and “The Man of La Mancha.” Paul has shared the stage with Toni Tennille, David Cripps, James D’Leon, Mike Vax, Gary Grafman, Jerry Goldsmith, Roberta Peters, William Warfield, Isola Jones, Don Edwards, Eric Ruske, Anastasia Kitruk, Harold Weller, Jeffrey Schindler and others. Working side by side with Peter Perret, Paul has served as the guest conductor for the New Horizons Band Blast, drawing participants from five eastern states. He is on the board of directors of the International Conductor’s Guild. The mission of the North Carolina Chamber Orchestra is to provide accessible, professional-level music to the Triad region, including Winston-Salem, Greensboro, High Point and Kernersville. Their vision for the NCCO is to become an established professional orchestra in the Triad and to possibly evolve into a full chamber orchestra with winds and percussion. Additionally, the ensemble would like to perform for educational institutions in support of our youth. Tickets for the April 6 and 7 concerts are $20 for adults, $15 for seniors and free for students. They are available at the door or at www.NCChamberOrchestra.org. The orchestra is a 501(c)3 tax-free organization. Find them on Facebook at www.Facebook.com/NCChamberOrchestra.